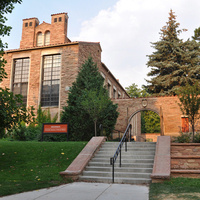 The University of Colorado Museum of Natural History is home to the largest natural history collection in the Rocky Mountain region and features five exhibition galleries where visitors can explore natural and human history through engaging and interactive displays. The youngest visitors enjoy The Discovery Corner where everything is hands-on. Visitors to the BioLounge can sip a hot beverage while experiencing exhibits that focus on biodiversity. The museum is open every day (except university holidays). Admission is free. Excellent and highly relevant presentation. She was an amazing teacher. The metaphor of a tree/forest was very helpful. This was a great experience! Rebecca was an awesome teacher too! It was an amazing experience. The tour guide, Jim, was very knowledgable and provided a detailed explanation for some of the rarest collection. Absolutely amazing to hear about the forest walking to foster environmental learning, a practice highlighted in indigenous epistemologies among others.